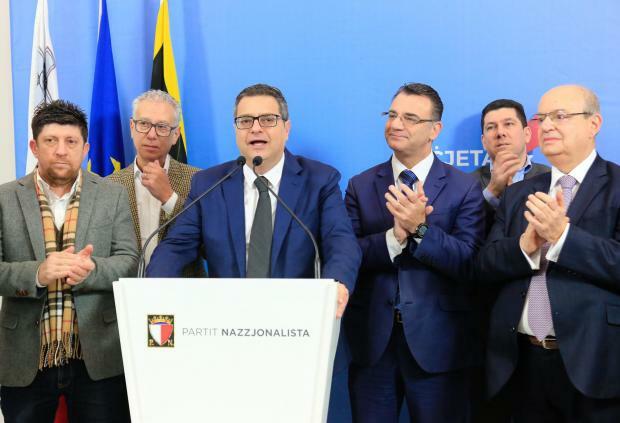 Nationalist Party leader Adrian Delia on Sunday insisted that the “attacks” being levelled against him were in reaction to the party “getting stronger” and an attempt to deflect attention from the Corinthia deal. “You can attack the PN, besiege it, but you will never destroy it, neither from the outside nor from the inside, as the party is not myself but you [the people],” he said. 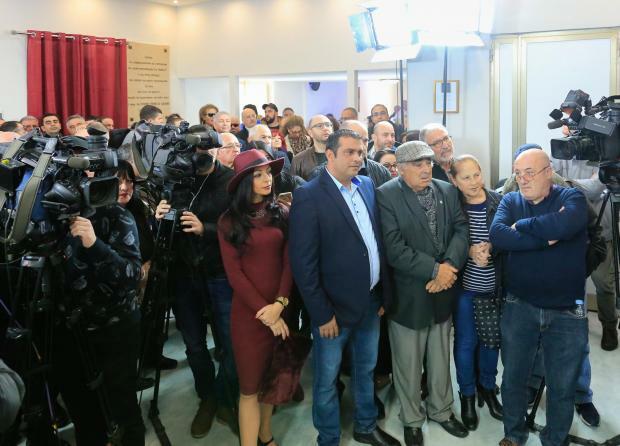 Dr Delia was addressing a political activity at the PN’s club in Senglea in which he referred to calls for him to resign, amid allegations of domestic violence, money laundering and issues on his personal finances. Dr Delia is denying any wrongdoing. The PN leader downplayed Friday’s no confidence vote by the PN sectional committee of Sliema, saying he still enjoyed the trust of more than 90% of committees and the backing of over 700 committee members. Dr Delia refuted claims that these committees were being pressured to pledge their loyalty, saying it was their own “spontaneous initiative”. “It seem that the only topic of the festive season was Adrian Delia,” he remarked. According to the PN leader, this was part of a plan to deflect attention from the Corinthia deal, which will result in 30,000 square metres of public land being sold to a private investor for real estate purposes. Taking a dig at his critics who accuse him of not wanting to confront the parliamentary group for fear of being voted out, Dr Delia said that on December 27, he did summon MPs for a presentation by the investors on this agreement. “Our parliamentary group was being convened and doing its work contrary to that is being reported,” the PN leader said. He accused the government of keeping under wraps the intention to convert the temporary emphyteusis of this land into a permanent sale for a “pittance”. Dr Delia said that the land in question is estimated to have a value of €800 million. “Yet Konrad [Mizzi] only got €51 million. Either he is not a good negotiator or he is robbing the people, justice and the environment,” he said. “It could also be that the deal had been agreed already. Who is above Konrad Mizzi if not Prime Minister Joseph Muscat who years ago had already bound himself that this project would materialise?” Dr Delia asked. Consequently, it was Dr Muscat who was solely responsible, the PN leader said. He also pointed out that the two towers shown in last month’s presentation to the parliamentary group, had become 12 according to Sunday newspapers. In his address, Dr Delia reiterated his promise that a PN government would guarantee housing for every single Maltese citizen who at the moment could not afford it. He also expressed his deep concern on government’s policy to import 50,000 foreign workers in the last five years, saying a further 60,000 were in the pipeline in the coming five. He criticised the government for only looking at numbers, by increasing the population to fuel consumption. While this could translate to economic success, there were 72,000 people on the brink of poverty he said. The PN leader once again accused the government of “working behind the scenes” to introduce abortion. While saying that there must be more support for women having unplanned pregnancies, he denounced those referring to life at conception as “eight cells”. Dr Delia reiterated that his party was pro-life and would never budge on the matter. In his concluding remarks, he referred once again to the situation within the party saying that, under his leadership, the PN was reaching out to the people and going back to the grassroots. “They cannot stand such a thing, do not want it, do not accept it, as they know that when the party is attacked it always does one thing – it does not attack back but seeks refuge in the people,” he said. He did not qualify who was behind these “attacks”. While urging supporters not to give up he vowed that the party would be strengthened and returned to its glorious days when it was the party of the people and persuasion.